Many images come to mind when picturing winter in North Lake Tahoe. One may think of world-renowned ski and board resorts and images to the likes of Jonny Moseley and Shaun White tearing up the mountain. North Lake Tahoe is also packed with tubing, ice skating and other snow festivities. Granlilbakken: Granlibakken ski area features a groomed snowplay area with rental saucers for sledding. Open daily, weather permitting. Northstar California: Located mid-mountain just above the gondola, riders can slide down solo or in daisy chains with friends. Village at Northstar: The Ice Skating Rink is located in the heart of the Village at Northstar. This 9,000 square foot rink is the center of a hubbub of activity, day and night. Rentals and lessons are available. Squaw Valley | Alpine Meadows: Enjoy scenic views of the Lake while skating atop Squaw Valley on an Olympic-size rink at High Camp recreation complex. Open 11 a.m. – 9 p.m. during the winter season. Rentals and lessons are available. Resort at Squaw Creek: Skate on the resort’s private rink with heated waterfalls, hot tubs, a pool and the peaks of Squaw Valley as a backdrop. Rentals are available. Open December to April. 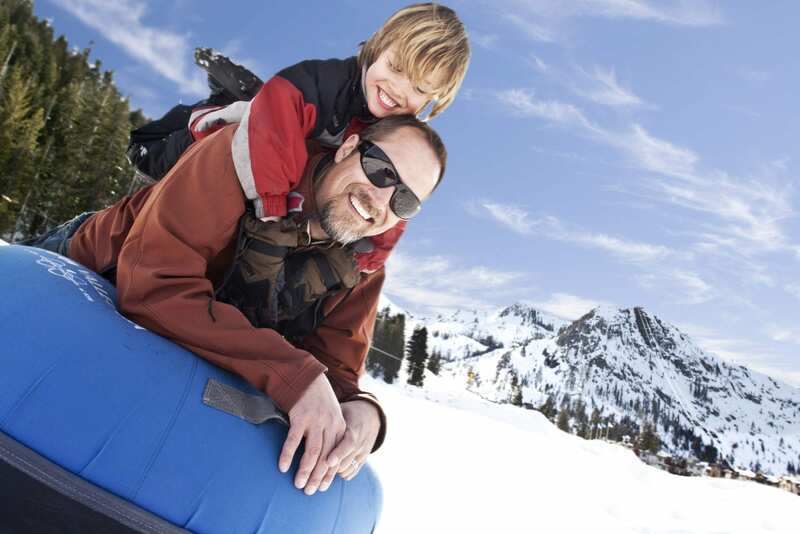 The post Tubing, Sledding and Snowplay in North Lake Tahoe appeared first on Go Tahoe North.